Can Turmeric Lower Your Cholesterol? If you’ve ever eaten Eastern Asian or Middle Eastern cuisine, there’s a good chance that you have encountered turmeric. Turmeric is a yellow colored powder that is often used as a food-coloring agent and as a spice in a variety of foods. It belongs to the ginger family and has been used for centuries in Chinese medicine to treat inflammation, infections, and various gastrointestinal ailments. The medicinal properties of turmeric's active ingredient, curcumin, have been recognized for centuries. Turmeric is used to treat a wide range of medical conditions. There is evidence to support some, but not all, of the medicinal uses for turmeric. There are ongoing studies to investigate how turmeric affects certain kinds of cancer. Animal studies have shown that it may prevent the disease in rats exposed to colon, stomach, and skin cancers. However, results have been inconsistent and more evidence is needed to confirm this benefit. More evidence is needed to know for sure if turmeric can reduce infections or inflammation in humans. Preliminary animal and laboratory studies have suggested a possible benefit. And clinical trial showed that turmeric does not help lower viral load in HIV positive patients, according to Memorial Sloan Kettering Cancer Center. The research on turmeric so far appears to be very favorable. Unfortunately, most of these studies have only involved animals. From these studies, it appears that turmeric mainly affects total cholesterol, LDL cholesterol, and triglyceride levels. One study conducted in rabbits fed a high-fat diet showed that turmeric appeared to lower LDL cholesterol levels and triglycerides, as well as preventing LDL from being oxidized. Oxidized LDL has been shown to contribute to the formation of atherosclerosis. The cholesterol-lowering effects of turmeric have remained consistent in these studies. Although this information appears promising, there is one hitch: there are hardly any studies that have looked at the ability of turmeric to lower cholesterol levels in humans. Since it does lower lipids in animals, it is thought that turmeric may also do the same in humans. However, the dosage and function of turmeric in humans in lowering cholesterol and triglycerides is still under investigation. The few, small studies that have examined the lipid-lowering effect of turmeric or its active ingredient, curcumin, noted that while there are slightly lowered total and LDL cholesterol levels, it is not a significant reduction. In these studies, people consumed anywhere between 60 mg and 1 gram of curcumin for up to six months. If you are interested in using turmeric in your cooking, there are many recipes available. Some call for fresh turmeric and you will need to purchase the whole root in the produce section of your local market. But many recipes call for ground turmeric which you will find in the spice aisle of almost any supermarket. Because its lipid-lowering ability is still being studied, there is no recommended amount of turmeric to consume. Therefore, you should follow the directions of your favorite recipes. However, if are thinking about including high levels of turmeric in your diet or wish to consume it as a supplement, you should make sure that you consult your healthcare provider first. High amounts of this spice may aggravate certain medical conditions, including certain gastrointestinal conditions, diabetes, and bleeding disorders. Turmeric—when consumed in amounts typically consumed in food—usually does not cause significant side effects. But some people have reported experiencing stomach upset, nausea, dizziness, or diarrhea. Turmeric may lower blood sugar, might slow blood clotting, and may prevent the body from absorbing iron. In addition, turmeric may interfere with several medications including (but not limited to) medications for diabetes, medications changed by the liver, medications that slow blood clotting and many other. 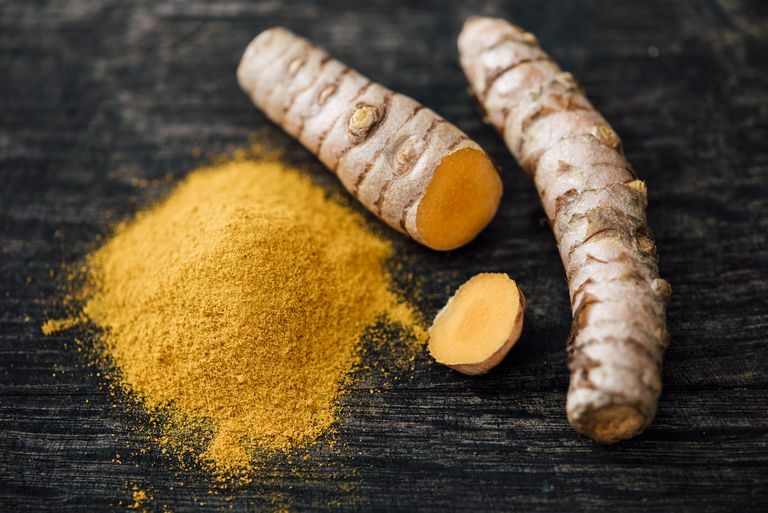 Lastly, using turmeric as a medicinal aid may make certain medical conditions worse, including (but not limited to) gallbladder problems, bleeding problems, GERD, and hormone-sensitive cancers. It is important that you discuss using turmeric with your healthcare provider if you are taking medication or if you are managing a medical condition. Turmeric is likely unsafe when consumed in medicinal amounts by women who are pregnant or breastfeeding. What is the easiest way to add a small amount of turmeric to my diet? Blend a small amount of turmeric into your morning smoothie, or add a teaspoon or two to your favorite soup recipe. Many people also add it to tea, to macaroni and cheese recipes, or to rice or other grain dishes. Since turmeric is a member of the ginger family, you may notice a familiar warmth (similar to ginger) when you consume this spice. It pairs well with chicken, fish, and beef and also with squashes such as pumpkin. Alwi I, Santoso T, Suyono T et al. The effect of curcumin on lipid level in patients with the acute coronary syndrome. Acta Med. Indones. 2008;40:201-210. Baum L, Cheung SK, Mok VC, et al. Curcumin effects on blood lipid profile in a 6-month human study. Pharmacol Res 2007;56:509-514. Joshi J, Ghaisas S, Vaidya A, et al. Early human safety study of turmeric oil (Curcuma longa oil) administered orally in healthy volunteers. J Assoc.Physicians India 2003;51:1055-1060. Natural Standard. (2014). Turmeric [Monograph]. Does Exercise Really Lower Your Cholesterol?